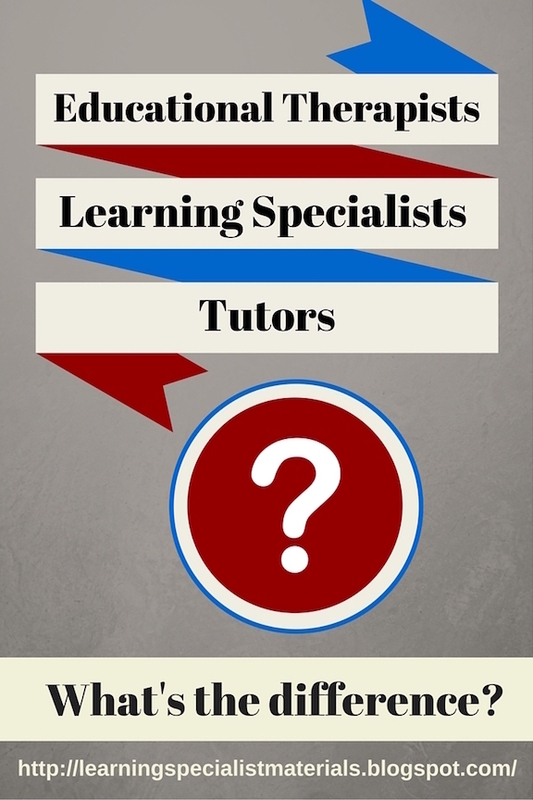 Tutor, Learning Specialist and Educational Therapist: What's the Difference? 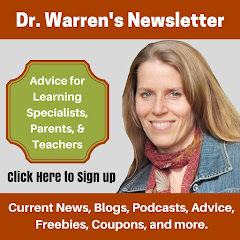 Are you a parent that is trying to get the best support for your child outside of school? Perhaps you are a teacher that wants to consider starting their own private practice. There are a number of professional titles floating out there and understanding the difference between them can be vital in finding the right fit. To help you with the process, this blog defines the commonalities and differences between a tutor, a learning specialist, and an educational therapist. A tutor is a teacher who instructs a child outside of school, especially to provide extra support and review concepts with difficult subject matter or classes. They often help with homework completion and may offer some strategies on study skills or time management. A tutor often holds a degree in the subject(s) tutored, and many have an undergraduate degree or higher. A learning specialist is an educator who is skilled and experienced in providing learning strategies to students who struggle with learning differences. These educators work one-on-one or in small groups to give students intensive support that meets individual needs. Often an expert in a number of subject areas, learning specialists should offer study strategies, memory techniques, metacognitive and focusing methods, and compensatory learning strategies. They should also be versed in assistive technology, creating an intervention plan, defining reasonable accommodations, and assisting students to develop self-advocacy skills. Many learning specialists also offer reading, writing and/or math remediation as well as cognitive remedial training, homework help and direct communication with teachers and other professionals. Learning Specialists should be well educated in learning and cognition as well as alternative learning and multisensory teaching strategies. They should hold a degree in education as well as a master’s degree or doctorate in a field such as educational psychology, special education, neuropsychology, and or school psychology. 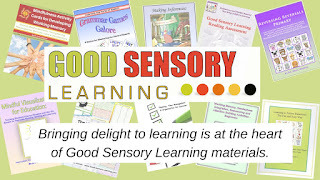 An educational therapist offers many of the same learning strategies and individualized educational interventions to a learning specialist, but they are also professionals who combine therapeutic approaches for evaluation, remediation, case management, and communication/advocacy on behalf of children, adolescents and adults with learning disabilities or learning difficulties. These professionals should be versed in helping students with any social and emotional challenges surrounding their learning difficulties. An educational therapist should have extensive training and degrees in learning and cognition as well as psychology, school psychology and/or educational psychology. Many educational therapists hold a Master’s degree and doctorate. If you are looking for a specialist to work with your child after school, or you are a teacher that is curious about the opportunities outside of a school setting, being aware of the roles of a tutor, learning specialist and educational therapist can help you to make an informed decision. If you are seeking a professional for your child or a student, be sure to ask potential tutors, learning specialist or educational therapists about their training, certification, and experience. Are you a Tutor, Learning Specialist or Educational Therapist? 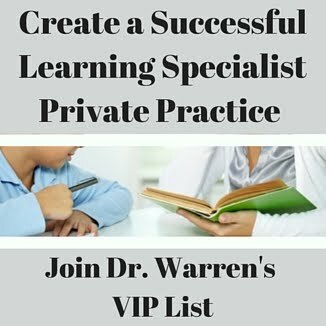 If you are a learning specialist, educational therapist, or tutor and you would like to join my Learning Specialist VIP list where you can get freebies, announcements and advice CLICK HERE. If you would like to learn more about the courses that are currently available CLICK HERE.